Inside each and every one of us lies a beating heart, It can be full of joy or full of sadness. 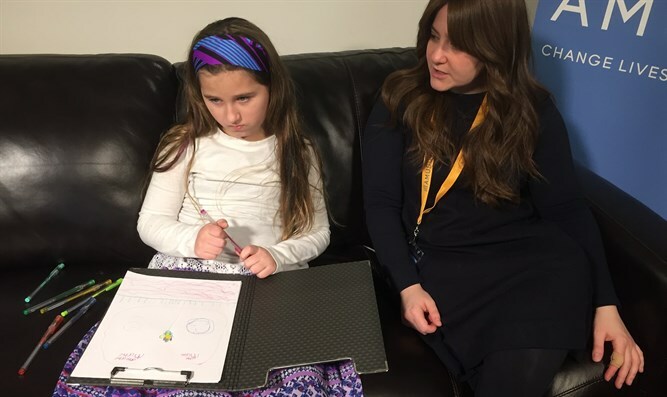 Zvi Gluck is the director of Amudim, an organization dedicated to helping abuse victims and those suffering with addiction within the Jewish community, and has been heavily involved in crisis intervention and management for the past 18 years. For more information go to www.amudim.org. In their natural state, our hearts are jubilant and dancing, sharing that message of hope and joie de vivre with those whose lives are touched by pain and sorrow. Throughout the year, our calendar is filled with celebrations, moments where happiness is an integral part of the equation. Our hearts sing on the Shalosh Regalim, they rejoice on Hanukkah and Purim, and while we all eagerly await the coming of Moshiach, when Tisha B’Av will be redefined, in our current state it is a day that is the antithesis of happiness. When our hearts are devoid of joy, the dancing turns into mourning. Our essence has been transformed as we grieve for the loss of the Bais Hamikdash, the true heart of the Jewish nation. To truly understand what it means to have suffered the devastation of our collective heart, we need to take a moment to understand the incredible beauty of the Bais Hamikdash. More than just a magnificent edifice, it stood upright and proud, built upon eternal foundations and everlasting pillars. It was majestic, glorious, sacred and unifying, overflowing with holiness and light. Heaven permeated its walls and its air was filled with pure happiness. And then came the day when the joy was gone. Defiled beyond imagination, its stones shattered, our heart stopped beating and we were plunged into grief so palpable and all-consuming that we nearly gave up hope. Surrounded by the ashes of the holiest place on the face of the earth and facing a loss whose magnitude seemed too much to bear, we had no idea how we could ever go on. As we say on Hanukkah and on Purim, bayamim haheym, bazman hazeh; we acknowledge that occurrences that transpired generations ago still continue to this very day. For centuries, Jews all over the world have mourned the destruction of the Bais Hamikdash, built of gold and stone. And today, as we once again prepare to sit on the floor and relive those ancient moments with fresh tears welling up in our eyes, we need to also mourn the loss of the flesh and blood batei mikdash in our own communities, those who have been shattered, abused and devastated by predators. Just as the Shechina, the Divine Presence, dwelled in the Bais Hamikdash, it lives on in our souls, transforming each one of us into a mikdash me’at. 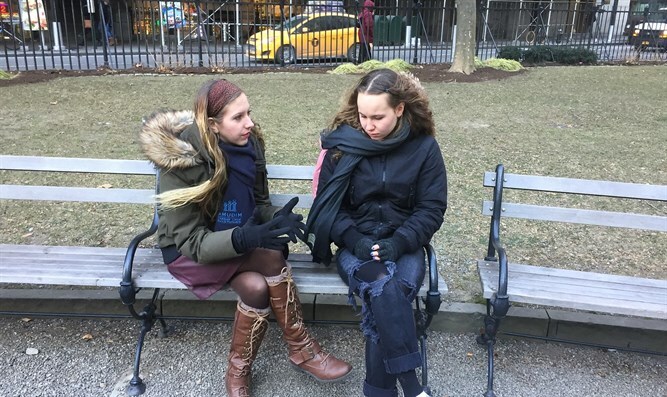 And every time an innocent victim is destroyed by abuse or addiction and the joy in their hearts is silenced, we experience the churban of yet another Bais Hamikdash. Today we mourn the destruction that took place 2,000 years ago. And today we mourn the destruction that goes on in our communities with alarming frequency. Imagine for a moment that you are standing on a hilltop overlooking the Temple Mount, Har Habayis. You see black smoke pouring out of the Bais Hamikdash. You see enemy troops mercilessly hammering against its walls, looting its treasures and defiling the Holy of Holies, the Kodesh Kodashim. Would you close your eyes as it is crushed, again and again? Could you just stand by silently and watch as the unthinkable occurred? While we cannot turn back the hands of time and prevent the destruction of the Bais Hamikdash, we have the power in our own hands to stop the modern day churban, a lesson that our founder and chairman Mendy Klein a’h understood all too well. He knew that a churban is a tragedy, but that tragedy is far greater if we have the ability do something about it but choose not to. Mendy had the biggest heart of anyone I have ever been privileged to know. The most important lesson he taught me was what it means to give from the heart to those who are suffering and to their broken friends and family, a heartfelt act whose effects live on forever. In his lifetime and beyond, Mendy continues to teach me that with heart comes hope, and with hope comes healing. So as we prepare to face another Tisha B’Av and to mourn the loss of the Bais Hamikdash whose majestic pillars beckoned and whose very existence was an integral part of the heart every Jew, let us take a moment to remember that we are grieving a churban that took place in our past and still continues in the present day. The eternal pillars of Amudim, constructed from the very depths of Mendy’s heart, continue to call to klal yisroel, urging each of us to give with our hearts, from our hearts, so that we can erase the torment from the lives of our brothers and sisters and instill in their hearts the hope for a future filled with absolute joy. 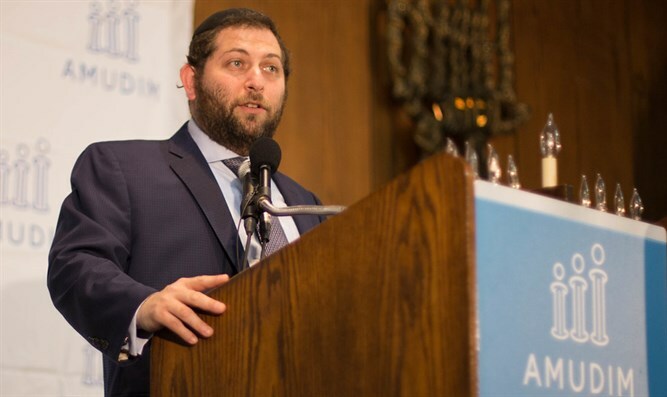 Rabbi Zvi Gluck is the son of Rabbi Edgar Gluck, a pioneer in public service for the Jewish community. Zvi has decidedly followed in his father’s footsteps. 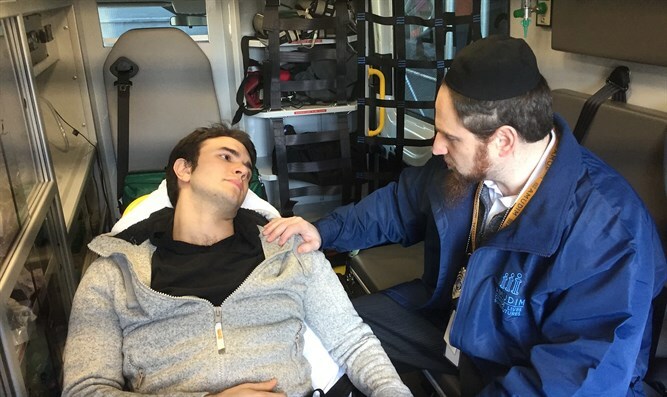 Zvi Gluck has distinguished himself in the world of activism and public service early on, while still a teenager he joined, and became an active member of Hatzolah Volunteer Ambulance Service in Queens. In 2008 He served as the Director of Crisis Management for Our Place in Brooklyn- a drop in center for victims of sexual abuse, and addiction.. He also serves as Clergy Liaison for the NYPD and is the Chaplain for the Port Authority of New York and New Jersey. 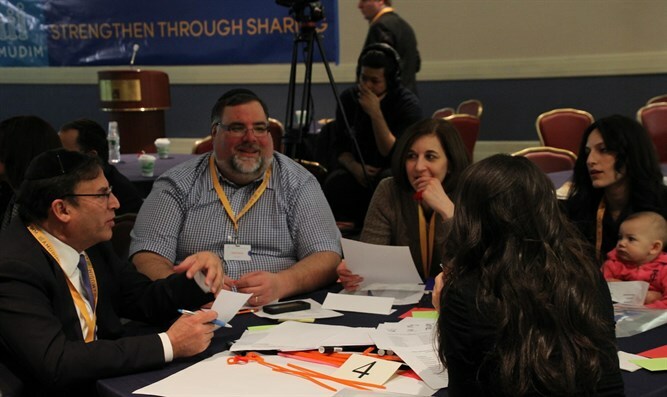 Zvi has gained a reputation for being there to help any Jew in crisis. His cell phone number is doled out by Rabbonim and community leaders to people around the world seeking help dealing with personal crises. 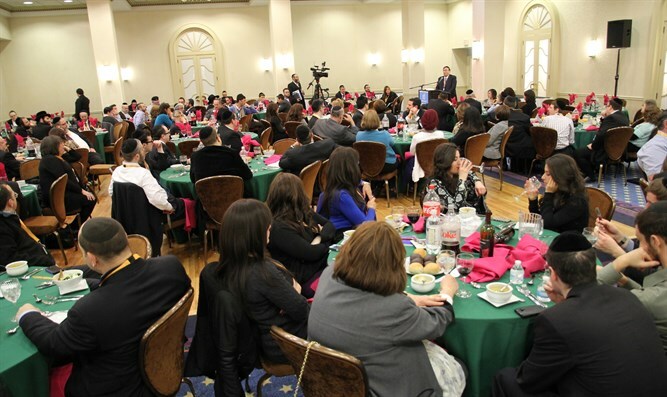 In 2014, with the encouragement of community leaders, Zvi founded Amudim Community Resources. 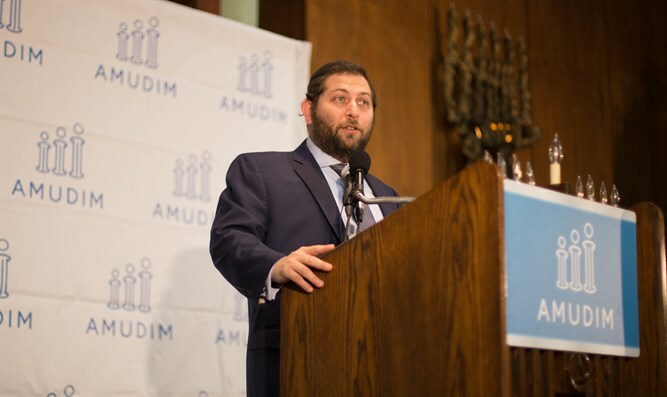 Zvi Gluck is the director of Amudim, an organization dedicated to helping abuse victims and those suffering with addiction within the Jewish community and has been heavily involved in crisis intervention and management for the past 18 years. For more information go to www.amudim.org.